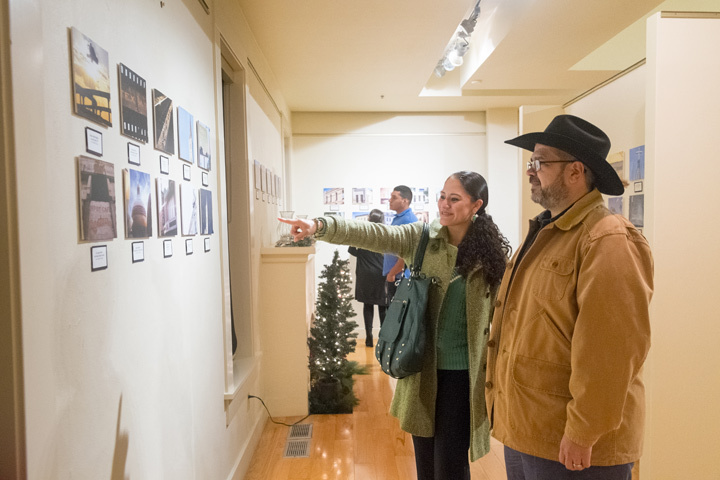 The Webb County Heritage Foundation hosted an opening reception for the exhibit of entries in the “Historic Laredo” Photo Competition on December 13 as part of the Villa Antigua® Border Heritage Museum’s 10th Anniversary Celebration. The public was invited to view all the competition entries which were on exhibit that evening and will remain on display throughout the month of January. 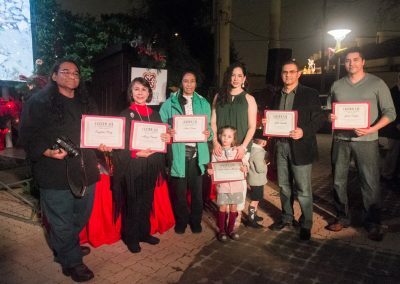 Finalists in the photo competition were selected to be published in the Foundation’s 2017 Historic Laredo calendar which was unveiled that evening. The Webb County Heritage Foundation wishes to acknowledge the work of all the talented photographers who participated in this competition. Mr. Albert Vasquez’ photo of Hidalgo Street was selected as the First Place winner, and is featured on the cover of the calendar. Ms. Rosa Elena Moreno’s photograph of the “Railroad Bridge on the Rio Bravo” won Second Place, and Ms. Ann MacDonald’s photo of “Mirando City, Texas” won Third Place. 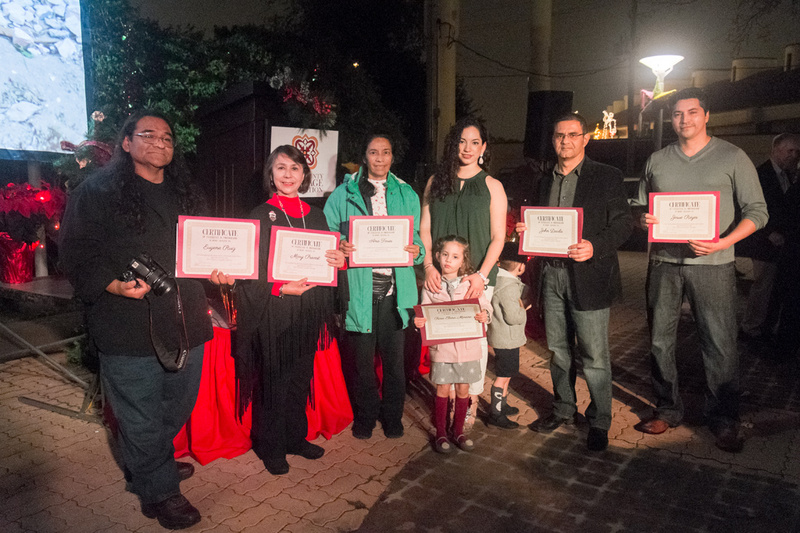 Other finalists were: Cesar Gabriel Gomez, Eugene Ruiz, Jacqueline Renée Hammond, Ivonne Lopez, Josué Reyes, Rosamaria Vidaurri, Francisco Mendoza, Mary Prevost, John Davila, and Ana Torres. 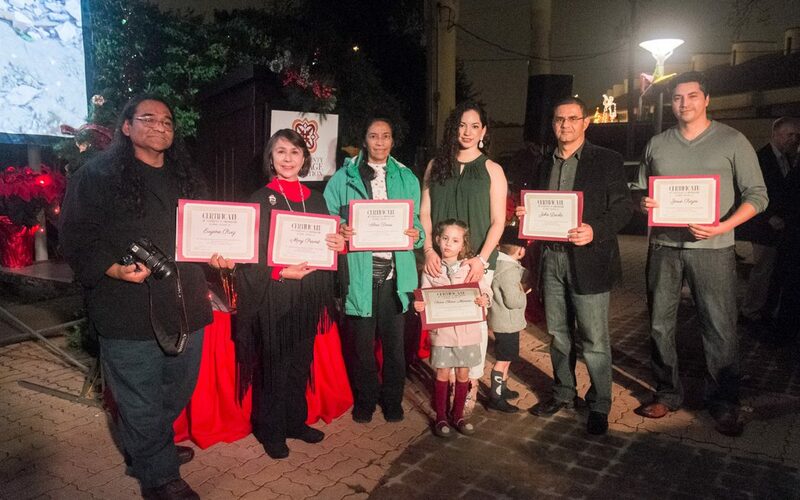 All finalists were presented with a certificate of Excellence in Photography during the public program that evening. The Photo Competition was designed to foster a greater appreciation of the region’s historic architecture, significant landmarks, and other notable historical features. In addition, the calendar features some of the important dates in Laredo’s history which serve as a convenient educational tool.